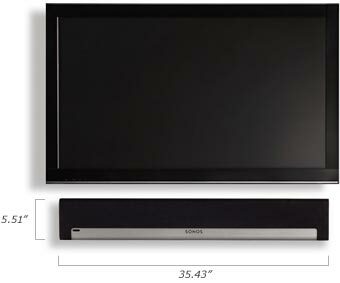 The soundbar that streams all the music on earth. HDTVs offer an amazing picture but often lack the powerful, realistic sounds that movie, music, and gaming enthusiasts enjoy. 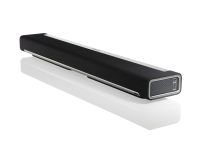 The SONOS PLAYBAR wireless soundbar delivers sophisticated home theater acoustics and wirelessly streams all the music on earth through one streamlined, easy-touse soundbar. Flood any room with epic, full-theater HiFi sound and wirelessly stream all the music on earth through one easy-to-use soundbar. PLAYBAR connects to your TV using a single optical cable and plays everything that's connected to the TV, including cable boxes and game consoles. Expand your Sonos system throughout the entire house, with PLAYBAR as the centerpiece of an immersive surround sound experience and wireless audio system.